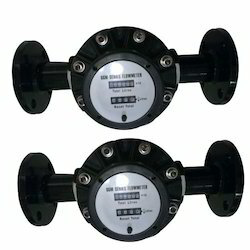 Leading Manufacturer of diesel fuel flow meter and fuel flow meter from Vadodara. Configured especially for use with gensets and other diesel driven machinery, the Diesel Fuel Flow Meter ensures high level of accuracy in displaying net engine consumption. It is also developed with advanced technique for handling the return flow of the fuel. This is a compact fuel flow measuring unit, suitable for high pressure fuel injected engine of all makes. 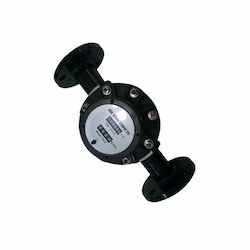 The low pressure drop through the Fuel Flow Meter makes the meter ideally suited for use in gravity applications or with the Macnaught range of electric fuel pumps.Macnaught manufacture a full range of pumps and accessories to suit most of you fluid transfer needs oil, please consult your local Macnaught reseller for more information. External cage also available on customer request. Macnaught recommends, that as added protection to your equipment you install a Macnaught fuel filter assembly in line before the inlet of your DM Fuel Meter. Contact your local Macnaught distributor for further details. Suitable for diesel, kerosene, petrol & MTO. Oval gear design with reset facility. Available in 1’’BSP (F)/ 1’’NPT. 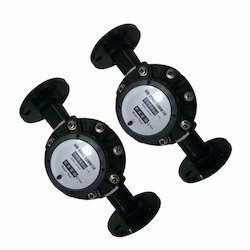 Kerosene or any slightly viscous non corrosive liquids; this is Reset type, mechanical flow meters. Application: Diesel Flow meter is a kind of positive displacement Meter to measure the liquid flow or instantaneous flow of the Pipe tube. lt is a kind of accumulate meter. With Characteristics of high accuracy, small change by the fluid Viscosity, it is widely used to measure oil kind liquid, forbidden to measure corrosive. Pressure .ln the status of the above gears driving gear, and the bottom gear is driven gear. both of these two gears have rotating torque by the liquid pressu/'e, and they move with the direction of the arrow to space The gear space is opposite to, the bottom gear is driving gear, and above gear is driven gear. The bottom gear pushes the liquid out from the half moon space under the liquid press pushes liquid volume four times of "measurement room". So, as long as the rotation of gears, the liquid volume can be counted.